Today's theme... animal print! Last year, I was so proud of myself for thinking outside the box and doing a poison dart frog print instead of a more traditional leopard/zebra. 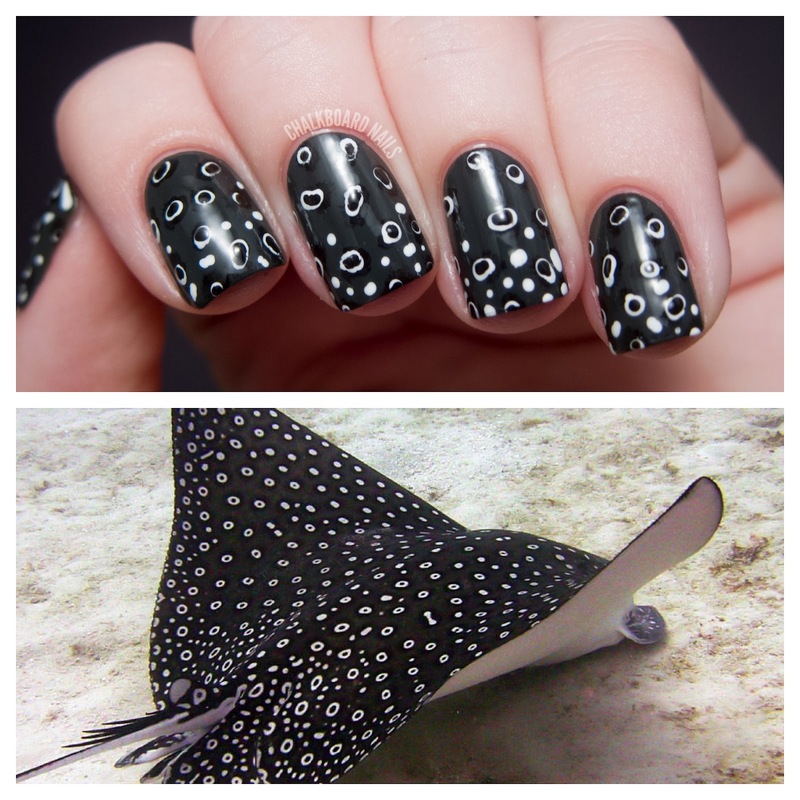 This year, I decided to continue that tradition and show a manicure inspired by one of my favorite animals -- the ray! This mani was based on a photo of an eagle ray, in particular. Here is the photo that I was inspired by. I loved the contrast of the white rings on the black, and the subtle transition from the black outside the rings to a lighter gray on the rest of the ray. The base is OPI Nein! Nein! Nein! Ok Fine! and then the rings were just made with white and black. I used a sponge to apply some splotches of black on top of the Nein! Nein! base, and then took the small end of a dotting tool to add white sections over the splotches. Then, I used a pinpoint dotting tool to add black on the inside of the white, giving the appearance of rings. I like these nails a lot. They are abstract and a little funky, and even if you don't know what they are based on, they are still interesting. Do you think I got it down? Thanks for reading! Don't forget to check out the rest of the challenge prompts here! "Oh, seaweed is cool. Seaweed is fun." This is pretty damn cool, nothing beats good old animal print ! These are awesome!! Great inspiration! So awesome! 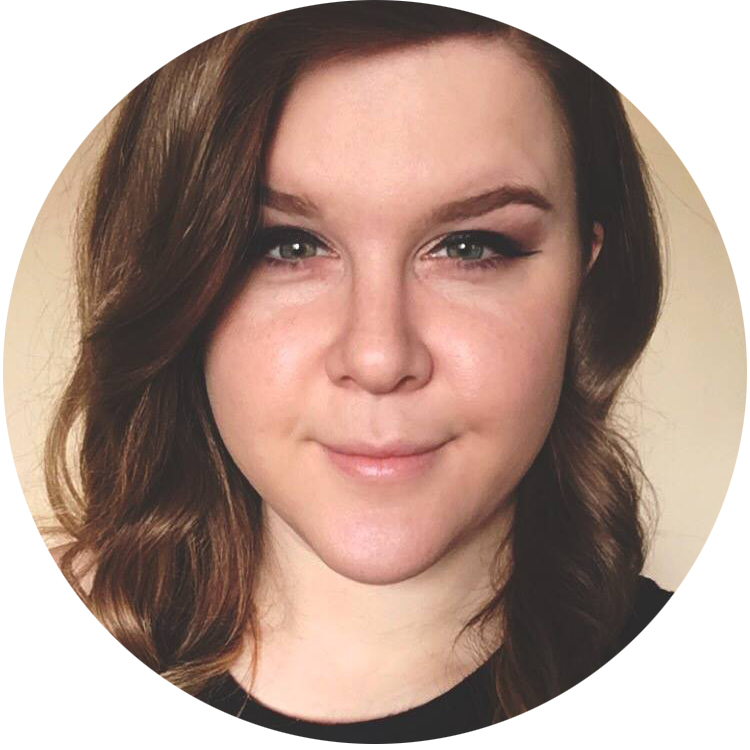 You've outdone yourself, Sarah! This is very cool and while not everyone will immediately know what it is, it's cool all on it's own as an abstract print. Love this! 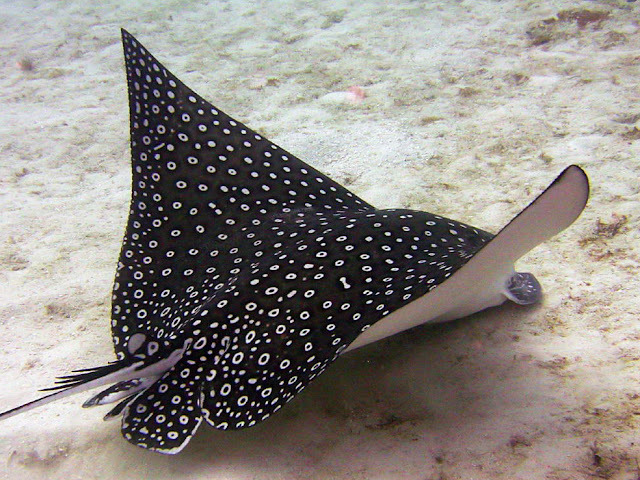 I actually had the opportunity to swim with/pet an Eagle ray in April, an AMAZING experience and your nails totally do the pattern justice! Wow, that is such a great representation! Great job! Fantastic! I love how you thought outside of the box- I get so bored with zebra and leopard prints! Oh my. This is the BEST! i love this! and sting rays! So good that it cut ally led me to comment - I'm a little shy! These are very, very good! Well done! * I meant actually, silly auto correct! Reminds me a lot of a real feathers nail art I did some time ago! woah, so cool! love it! Haha this is crazy and I love it! This may be my favorite mani you've ever done...ever. I'm always amazed how you avoid any glare on your pics. What's you secret? Thanks! I think it is a combination of my lightbox (tutorial here: http://www.chalkboardnails.com/2012/03/intermediate-nail-photography-lightbox.html) and just learning what angles work best for my photos. Hope this helps! I love where u draw your inspiration. Its always unique and unexpected. I likey! R.I.D.I.C.U.L.O.U.S.L.Y TALENTED!!! There are no more words, no other phrases....LOVE IT! I love your outside-of-the-box thinking. The ray mani is great, but I looked back on the poison dart frog mani and it took my breath away. Way to go outside the box! The animal print is crazy. This is gorgeous! And easy to attempt as well! I just got back from the Bahamas. As soon as I saw the 1st pic, I knew that was a stingray print! You did a great job, so unique! I love it. How cute! I love that this isn't a typical animal print!! Great job! What a wonderful and unique mani for the challenge. Gorgeous! These look reaaally great!! Once again way to think outside the box, very inspiring!